Helix Jump is a brand new product from Voodoo. 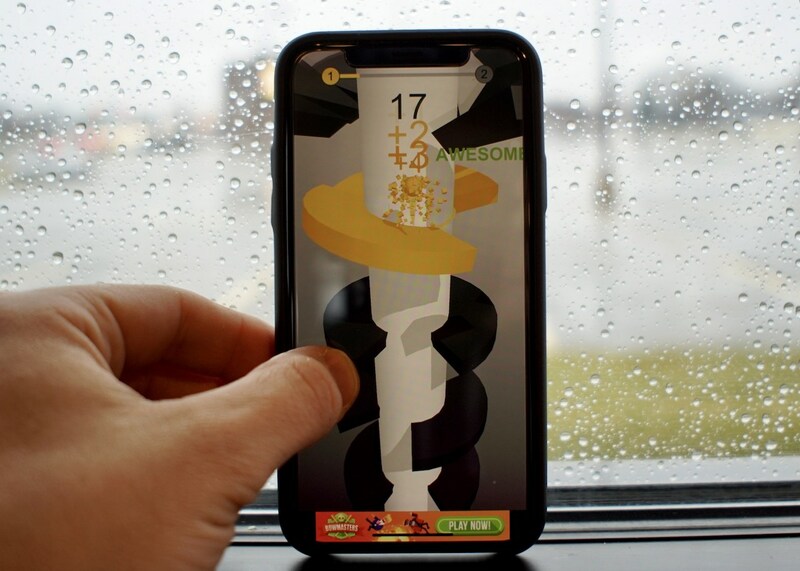 I very like reviewing a game of Voodoo – the publisher famous for the simple addictive game that is not like any other game. Anytime, Voodoo’s products still receive a special interest from the gaming community. Currently, the game is currently available for free on both iOS and Android platforms. If you are looking for a special game, maybe Helix Jump is the answer for you. 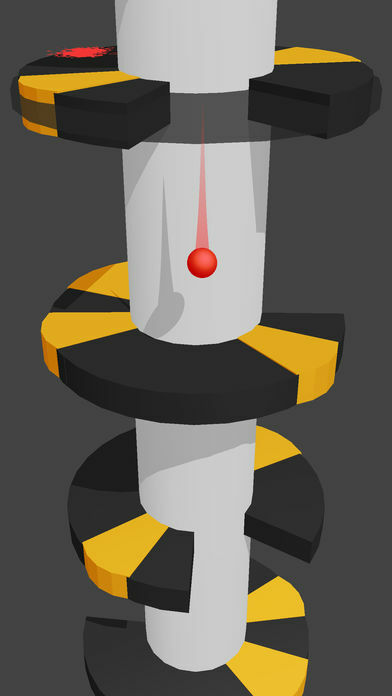 Like other Voodoo games Twisty Road!, Fire Up or Splashy, this game also has a theme revolving around a ball. It looks like Voodoo loves the ball. I’m very impressed with the creativity of the Voodoo publisher, with just one ball they can create a lot of interesting games. 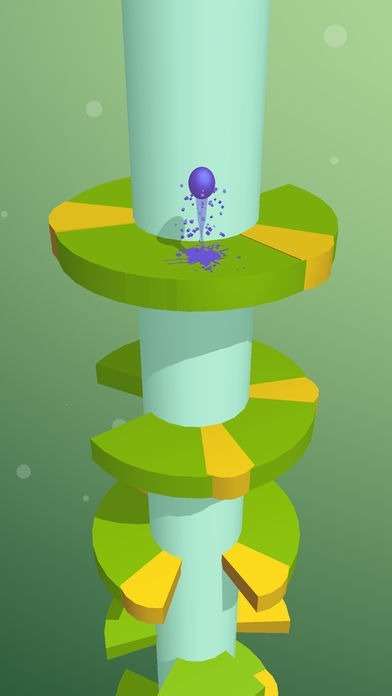 In Helix Jump APK, all you have to do is to control the ball safely when it falling from the top of the tower. The game has a lot of obstacles to hinder your movement. The labyrinth of the game moves continuously. If you get stuck, you will lose. You will complete the game when you control the ball to the destination. The higher the level, you meet more difficult challenges because the labyrinth moves faster, more obstacles, more dangerous. This means you will control the ball more difficult. There is no other way to win than to use your ingenuity and reflexes. Because the game is Endless, you will play until you make a mistake. 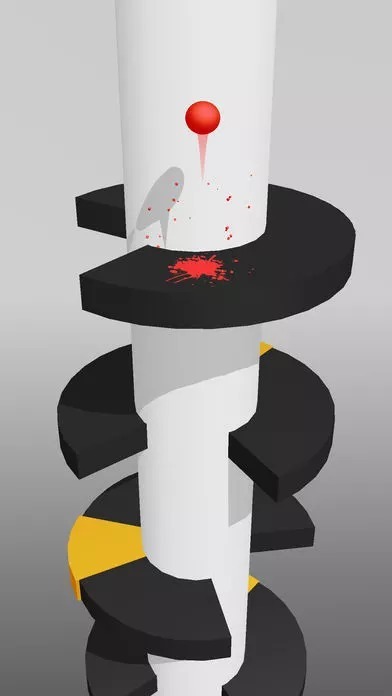 Helix Jump brings discomfort for players, but also very interesting. That will make you play more times to get higher scores. I lost many times while only need a little to win. Making the record, challenge your friends in this game. In addition to the default ball, you can unlock colourful balls in Helix Jump. When you play, collect a lot of coins to buy items in the game. Owning a colourful ball is the dream of many Helix Jump players. Each level, the colour in the game changes, creating diversity, avoid boring. One of the most common problems with Voodoo games is advertising. Because the game is all free, so this game has many publisher ads is quite normal. If you feel uncomfortable, just disconnect the Internet during play, and you will not see any ads anymore. Helix Jump simulates virtual space is very beautiful, abstract. Spiral maze design is simple but unique, not like any other game. The graphics of the game have been upgraded a lot compared to previous games, providing the most enjoyable experience for the player. Besides, you will listen to the fun music when playing this game. Helix Jump MOD APK is ready to download!